What are the Benefits of Double Hung Windows? Brock Doors & Windows Ltd. What are the Benefits of Double Hung Windows? It is easy to see why double hung windows are one of the most common window designs in North America. This window design has withstood the test of time to offer homeowners the best products that are available. As the design has transformed over the years, double hung windows have become an obvious choice for many homeowners. When a Toronto windows manufacturer is talking about double hung windows, they are referring to a specific design style. The windows are designed with two operating sashes that can be moved up or down if you want to open or close the window. So, you can choose if you want to open the top section or bottom section of the window. In comparison, a single hung window only has a lower sash that can be opened. The top half of the window is a single pane that can’t be moved. Easy Cleaning: Since you can move both the top and bottom section of the window, you can access every part of the window for cleaning. Often, double hung windows are designed with a tilt-in sash that is vertically stacked to make it simple to access. Traditional Designs: If you are looking for a historically accurate design with modern features, then double hung windows are the way to go. Whether you have a traditional or contemporary home style, this design will look great in your home. Energy Efficiency: We offer energy efficient packages to improve the insulation in your home. During the colder months, the windows keep out the cold temperatures. During the warmer months, you can choose to open the windows to let in some air and naturally cool down your home. Custom Designs: These windows can be custom designed to match your preferences. You can choose from a variety of colors, sizes, and shapes. Air Conditioner Accommodations: Since the windows can slide up and down, you can choose to install a window air conditioner unit during the summer months. The window opening can be adjusted to match the size of the air conditioner. 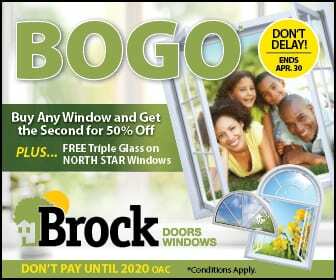 Here at Brock Doors and Windows, we are always looking for the best products to offer our customers. When you contact our team, you will learn more about the unique features that are available from this window design. Your consultation will give us the opportunity to discuss your needs. By understanding more about your preferences, we can help you pick the products that will be a good match for your home.